Very nice cottage on the lake Aitjärvi. This is two hours drive from Helsinki. Wide, private beach with shallow, sandy bottom. Very sunny! At sea. Very nice cottage on the lake Aitjärvi. This is two hours drive from Helsinki. Wide, private beach with shallow, sandy bottom. Very sunny! At sea, the floating bridge and the rowboat are freely available. In the garden is a barbecue hut with wooden barbecue, a sandbox and a swing are available. Two bedrooms and a loft offer a total of 8 people sheep occasions. For larger groups we also recommend SLA138 reserve. A beautiful holiday on fishing on the lake! This beautiful modern cottage is made from wood and was recently built in 2014. The agent has rated it as a five star property so it is one of their best cottages - tastefully furnished and fully equipped. It is also great value for money. 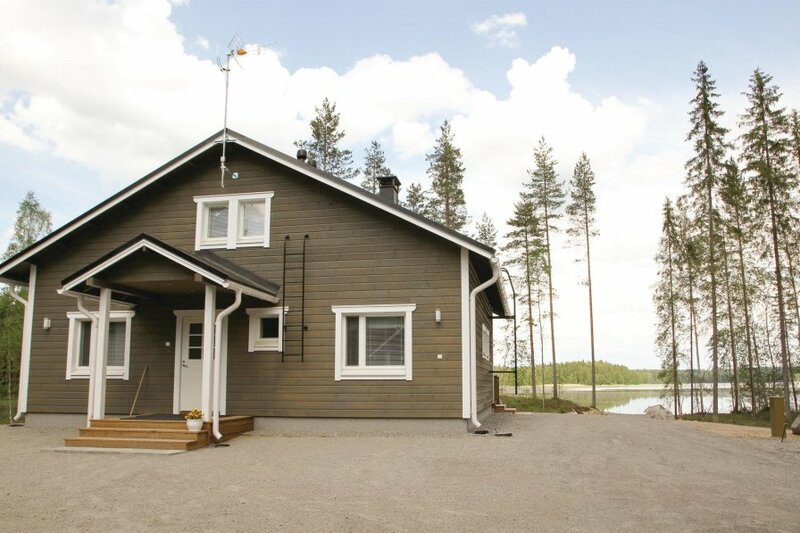 This cottage has beautiful panoramic view over water and is located in Lake District, 35km from Heinola. It is set in a very convenient location, just 30 metres away from a lake. There's also a restaurant 21km away.